What would you do if the Internet was no longer available? There is a whole generation of adults that have never know life without Internet; like electricity, it was just always there and it is a big part of their lives. Those of us over 30 years old can remember a time when the Internet wasn’t a publicly accessible resource. The world was a different place then and doing business was an entirely different ballgame. Back then, marketing demographics had very little meaning. Sure, there were mailing lists available that permitted companies to focus on different age groups of geographic locations, but these were crude marketing tactics compared to what is available today. In the pre-Internet era, most marketing was limited to direct mail or “shotgun style advertising” with ads placed in newspapers, magazines, broadcast media and other mass market venues. Could the Internet go away? In this day of hackers and governments that salivate at the thought of controlling the Internet, anything ‘could’ happen, but the odds of the Internet going away are as remote as us losing the electric grid. Disrupted? Maybe, but destroyed…doubtful. Today, Pay-Per-Click advertising permits you to display your ad only to people who have searched on a keyword phrase that you choose. As an example, if you sell “mens red underwear” your ad will only appear when someone searches on the term, “mens red underwear”. The odds are high that many will click on your ad; with eight million search results, that’s not bad ad targeting. Facebook is a modern day marvel with 1.35 billion monthly active Facebook users and 864 million people log onto Facebook every day. One in five page views in the United States occurs on Facebook (Source). Advertising on Facebook means that if you sell “mens red underwear” in a local city you can choose only to show your ad to men in a certain age group, ethnicity, within ‘x’ number of miles of your city, who have mentioned their underwear, like the color red or drive a red Ford pickup truck. Targeted advertising doesn’t get much more specialized than that. The problem with such highly-targeted advertising is that it can be quite costly, which is a problem if your are selling low-ticket items. The other issue, which is a problem with all advertising, is that when your budget runs out, your traffic comes to an abrupt halt. All of us rely on Google (or Bing, etc.) to launch our search for information. If we want to know the weather forecast, find a restaurant, buy snow tires or “mens red underwear” we start with a search. Search marketing means doing the right things to improve your website’s rank in search results; this is called “Search Engine Optimization” (SEO). The search engine’s algorithms measure hundreds of factors to determine the order in which search results will rank. In other words, will your website be listed on page one – or page eighty-seven. The Flathead Guide is one of the best search marketing tools available to local businesses. In addition to providing an additional mobile friendly, mini-website listing for your business, it also gives you the all-important one-way backlink to your website; which is one of the best things you can do to help boost your site in search results. Your mobile-friendly listing in the Flathead Guide also means that your listing can rank higher than your main website in search results from mobile devices. In the Flathead Valley this is critically important because the millions of visitors we see every year. Those visitors now rely on their smartphones and tablets to search for things to do and places to visit in the Flathead. One of the best benefits of leveraging search marketing (vs. advertising) is that it works for you 24x7x365 and is not dependent on the size of your marketing budget. 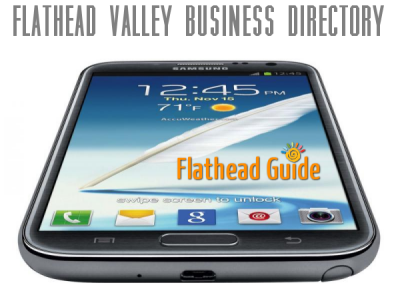 If you want to get more traffic to your website and make your phone ring more often, add your business to the Flathead Guide, the official Flathead Valley Business Directory. If you do business in Bigfork, Kalispell, Whitefish or anywhere in the Flathead Valley, invest some time and effort in search marketing and watch your business improve! Get started here!